Platters Bistro and Wine Bar presents Oscar and Tracy Pasinato from Buko Nero as the stars for their fourth guest chef edition which runs til end June. Platters basically advocates "social dining" and serves up tasty treats for sharing on wooden platters. Some things are better shared indeed. 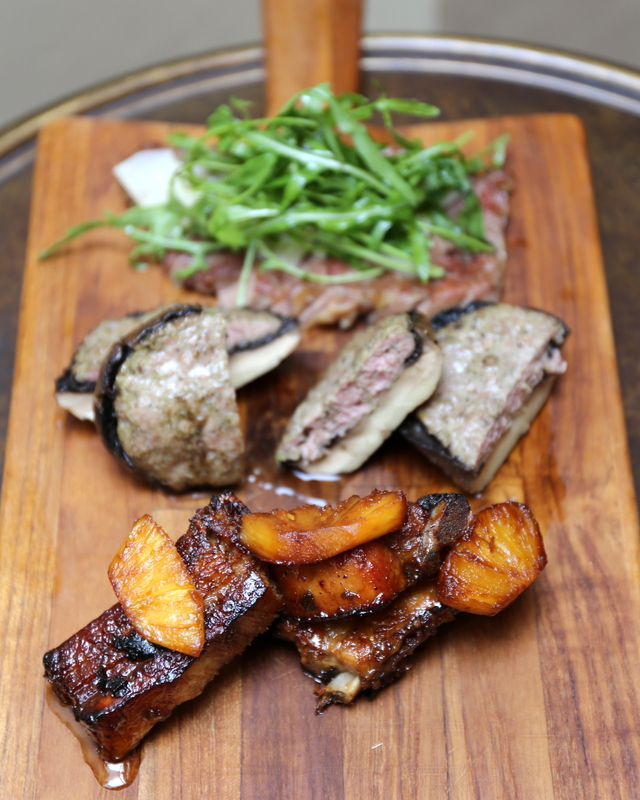 Every three to four months, they invite a guest chef to interpret his or her cuisine on the signature wooden boards. 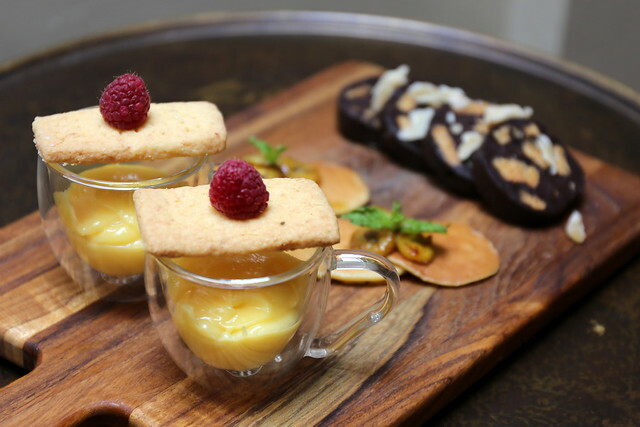 Note that the chefs are not there personally to cook; they help conceptualise the special menu and . The highly acclaimed Buko Nero run by the husband and wife team continues to see a waiting list of three weeks. Oscar is the chef and Tracy oversees the service. I have yet to get a reservation myself. 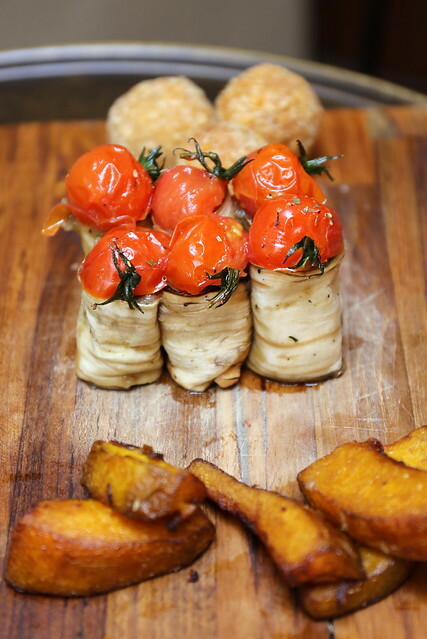 However, the dishes featured at Platters are distinctly different from the menu at Buko Nero. Chef Oscar, who describes his style as “his own type of cuisine” has returned to his Italian roots. His signature dishes are complemented with Asian twists and flavours, influenced by his time in the East. You'll see these in some of the platters below. By the way, these photos are my first ones taken using the Canon EOS 6D (a review unit loaned by Canon Singapore). The photos barely needed editing (just cropping and contrast adjustment). Colours are pretty much as-is. This is the world's lightest full-frame DSLR, and it comes with built in Wi-Fi and GPS and mad ISO capability (100-25600, expandable to 102400). Does great in low-light settings. It's quite a departure from my old 400D, although that one has served me well in the past five years. OK, end of geek moment. Back to food. Oh the plump and juicy scallops - only Hokkaido ones will do, as the chef refuses to compromise. They are done medium rare, so you can still savour the natural sweetness. The rosemary sticks can be a boon or bane, depending on whether you like the herb. The prawns are nicely savoury with the parsley sauce. And the croquettes have the Asian twist of mango and chili salsa. One for vegetable lovers. I really liked the arancini (which means "little orange") - Italian rice balls fried with bread crumbs. The eggplant caponata is lovely; the tomato adds zing to the eggplant. Sadly, the pumpkin fritters, inspired by Chef Oscar's travels to Japan, were a little too limp and oily for my liking. They are steamed and then fried. Oh this is probably the crowd favourite simply because of the gorgeous pork ribs roasted until tender and topped with caramelised pineapple. See first photo for closer look. The lamb sausage mushrooms almost smell like foie gras for some reason. 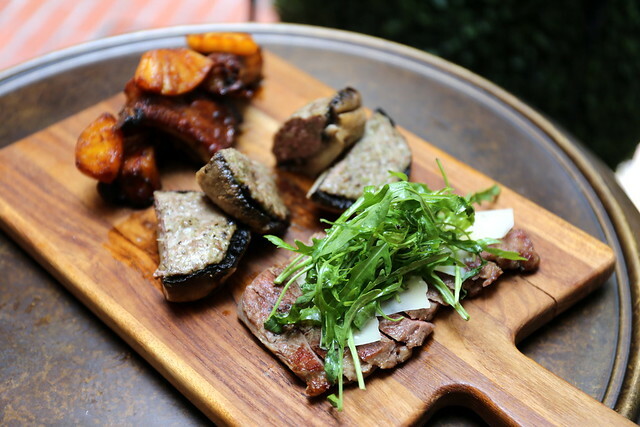 And the seared steak makes for more than a hearty nibble. Even dessert is on a platter. The lemon curd is super tangy! Take it with small bites of the cookies. The pancakes are really dainty. You kind of wish they were full-sized. What's interesting is the ginger and dark chocolate salami. When they were young, Chef Oscar's sister used cocoa powder instead of chocolate (as it was very expensive then) to make this. It bring back such memories for him. There's plenty to drink at Platters too. 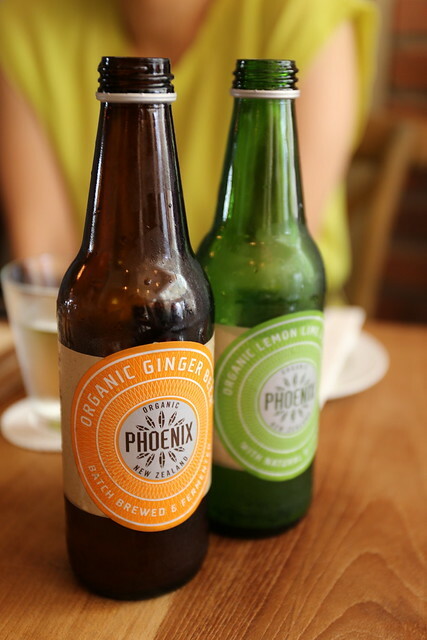 Here's the organic ginger beer, and lemon, lime & bitters (S$7 each) which are pretty refreshing and not too sweet. Accompanying the menu is a wine list that celebrates artisanal wines from the Old World. The dynamic wine list celebrates handcrafted, biodynamic and organic wines, selected to pair with the platters. 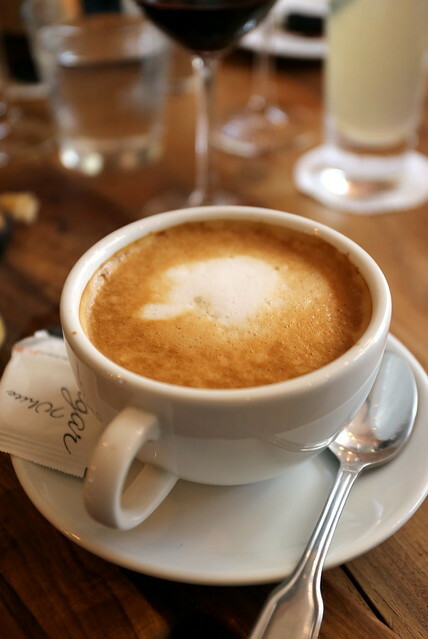 Or just sit back and relax with some really good coffee by Papa Palheta. Platters sees a pretty good crowd in the evenings for drinks, but it's a good place for lunch too. For their regular menu, check out their website. Opening hours: Mon-Sat 12-3pm, 5pm-midnight. Closed Sundays.